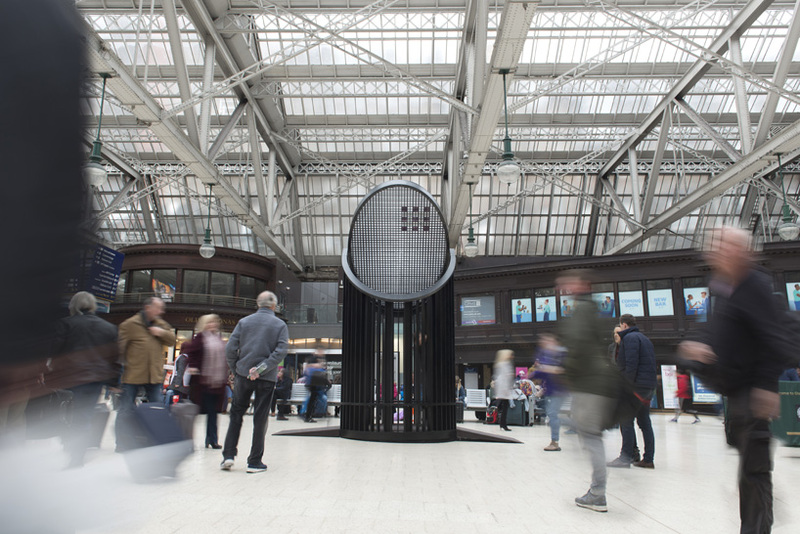 UK based designer, scott jarvie, has created a light pavilion situated in glasgow central station, scotland, as part of a year long celebration of 150 years since the birth of charles rennie mackintosh. 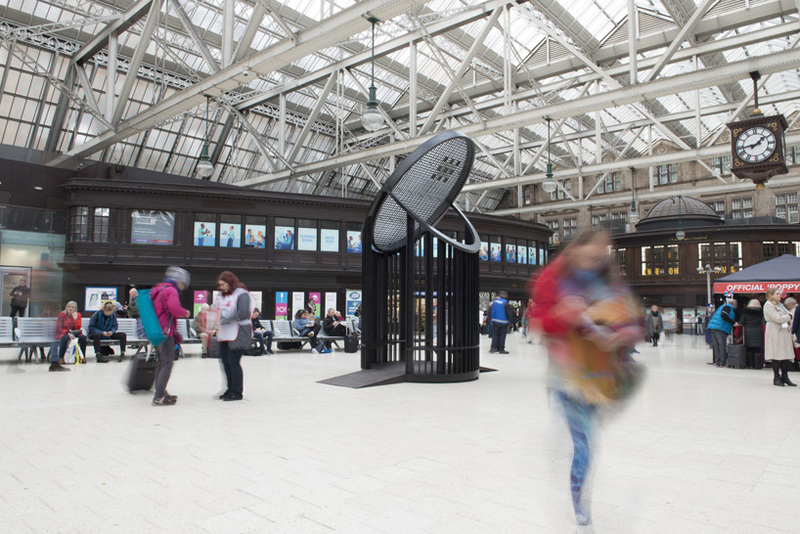 the ‘light pavilion’ sits under the grand glass roof of the train station and intends to celebrate the life and work of the renowned architect. 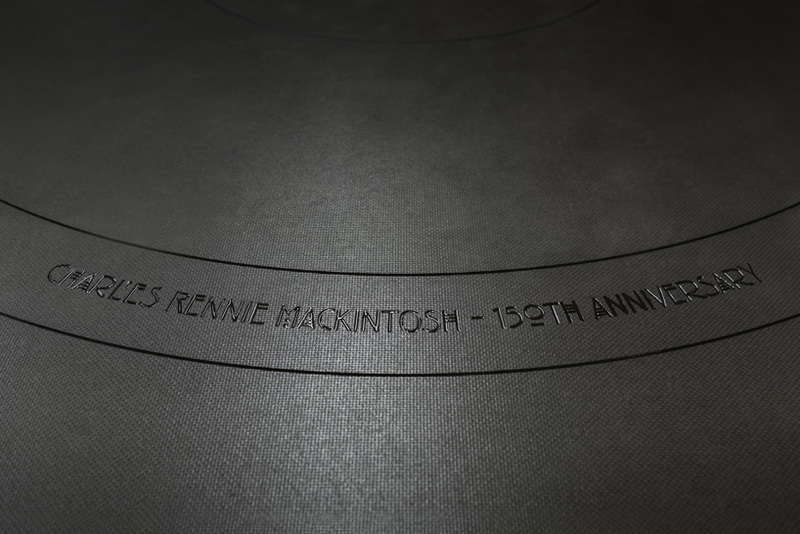 born in glasgow in 1868, mackintosh‘s many buildings and designs can be found across the city. 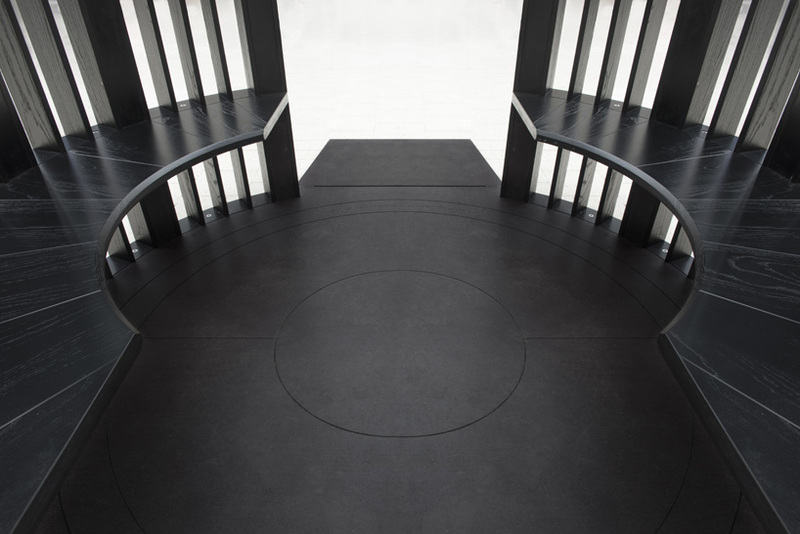 a master of light, pattern and form, his creations embodied simple geometry without ostentatious decoration. 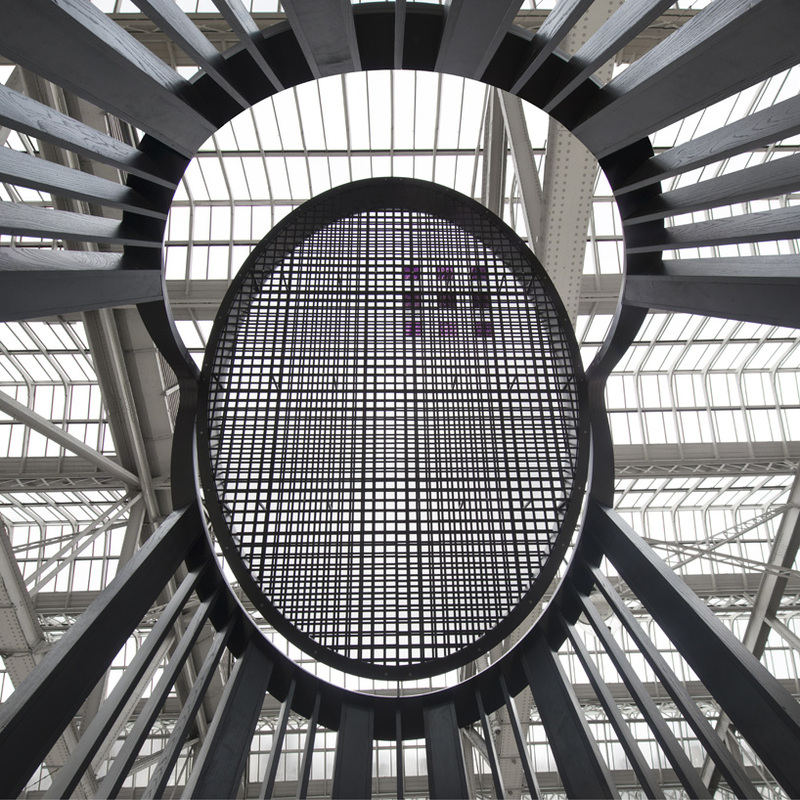 scott jarvie‘s ‘light pavilion’ aims to celebrate these elements by incorporating basic lines and shapes, influenced by mackintosh’s art nouveau style. the blackened wood mirrors mackintosh’s furniture design, in particular the infamous tall-backed ‘argyle’ and ‘hill house’ chairs. 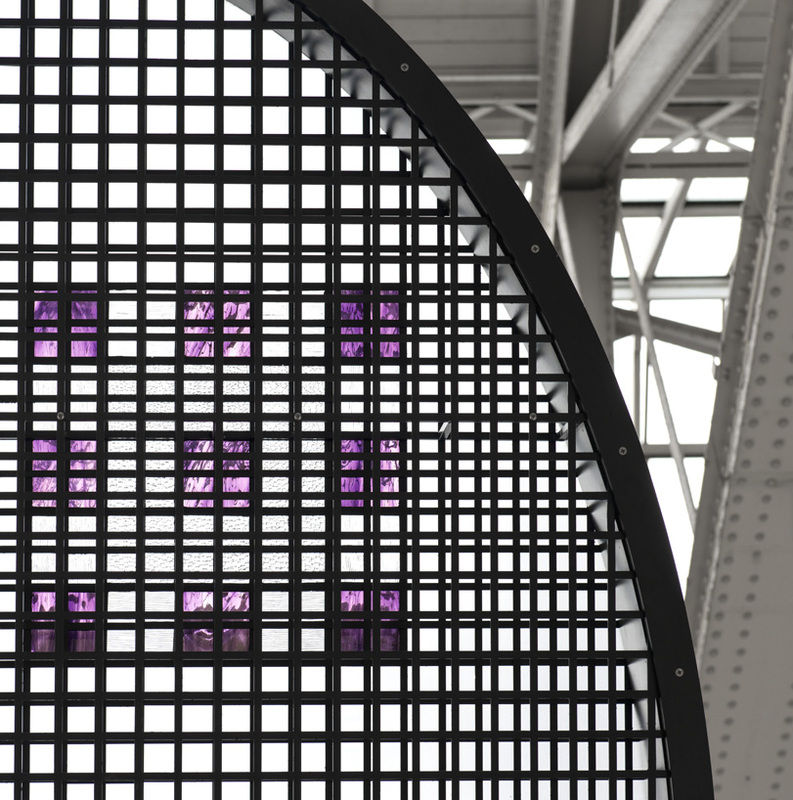 the pavilion consists of two opposing seating areas which support an elliptical grid, featuring the stained glass detailing. 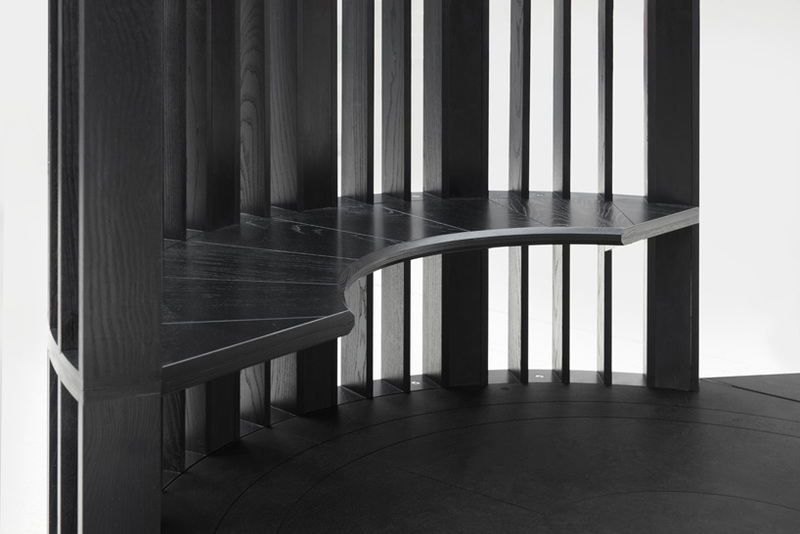 the design combines traditional fine woodworking craftsmanship and cutting edge modern manufacture in its creation. by referencing mackintosh’s magnificent stained glass panels and ingenious use of geometric pattern the pavilion seeks to create a structure that brings the space alive with light and movement while offering a sanctuary within a busy public area.